Whether you're considering purchasing a home for the first time or a seasoned pro, before taking the final steps in the home buying process, you must do what real estate professionals refer to as "due diligence." Due diligence entails research and help from industry professionals to determine a property's potential risks and liabilities to you. If you're serious about buying a property, this upfront investment of time and money will protect you from any possible unknowns that could create liability or, worse, unplanned costs. You may have a good feeling about a home, but you must also review the property in the context of its neighborhood. Review crime statistics from the neighborhood via your local municipality or the FBI Uniform Crime Reporting Statistics. Find out what recent resale values of homes in the neighborhood have been. Has a recent rush to sell occurred? Talk to neighbors about the neighborhood. They can give you valuable history and insight into the neighborhood and the house. Find out if the home has any liens against it. Any real estate transaction or lien placed on the home will be in the public record and accessible to you. Additionally, most counties have electronic databases with tax records and current assessment values. Find out if the taxes on the home are current. This information will come out during the title search after you've placed an offer, but you could waste considerable time only to find out the home owner is behind on his taxes or owes a contractor money. Learning about the current condition of the house is critical to understanding what potential components could need replacing or repair in the near future. This will also reveal additional information not found on the home's property disclosure statement. Start by hiring a certified home inspector. The inspection should give you a snapshot of what you're getting if you buy the home. 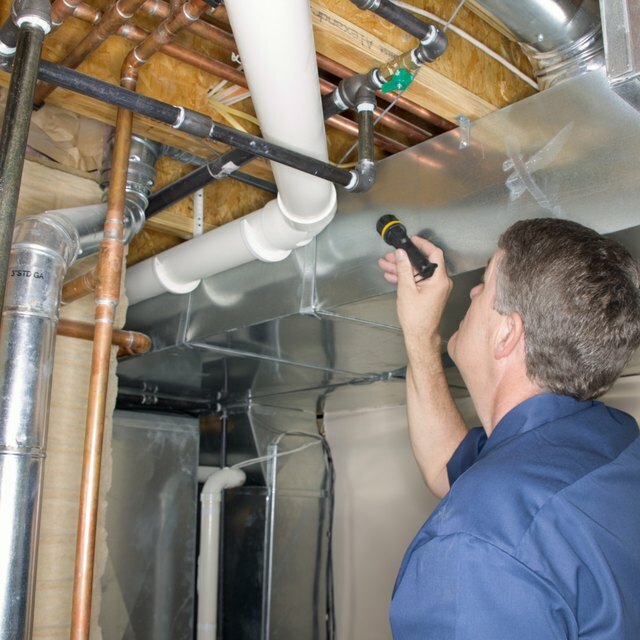 You may also need to hire a plumber or electrician for an extensive inspection if the home inspection reveals anything of note in either system. Additional inspections may include a mold inspection or structural assessment by a general contractor or architect if you plan on doing any extensive restructuring or additions to the home. An appraiser will do a routine inspection of the property to arrive at a final value of the home. However, if you have special concerns about the home's value you may talk to an appraiser about general home value trends in the neighborhood. If you're planning certain improvements to the home, you can find out if they are typical for the area and add value. Adding a pool, for instance, in a neighborhood without pools could make the home harder to sell. Find out if the home will come with any existing warranties. For example, if the home has a newer roof or the owners are replacing the roof as part of the sale, will the warranty transfer to you the new buyer? Is the seller offering a home warranty to cover the cost of anything that might break or need repair after your purchase? What kind of insurance will you need for the house? Homes within a flood plain will require flood insurance as well as a separate home owner's policy. Will the home require a termite contract? Find out as much as you can about the types of coverage you would have to maintain and how much it will cost each year. Review any potential environmental hazards around the property including asbestos, lead paint inside and outside the house. Nearby hazards could include chemical facilities or noisy commercial buildings. Be aware of what could affect your health or resale value long term and any planned development projects in the area. If you're looking for a rental property your due diligence should include understanding the current rental market and economics of a property. This includes reviewing monthly cash flow and maintenance costs. Review existing leases and understand current tenant agreements and your legal rights as the new owner. Due diligence will protect you from unanticipated liabilities and pitfalls. Learn as much as you can about the property you're seriously interested in purchasing and develop a plan to deal with any acceptable property deficiencies with the existing seller.